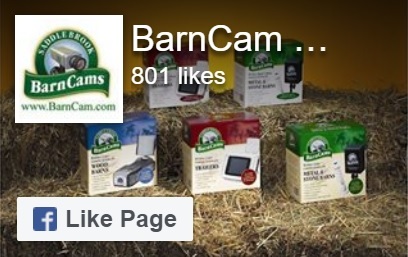 If you are looking for a Barn Camera? You have come to the right place. We invented the idea almost 20 years ago and have refined it continually to the award winning BarnCam we sell today. 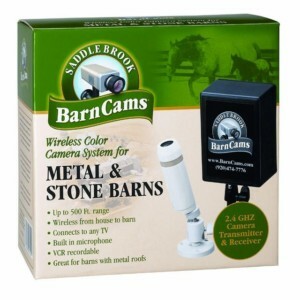 We offer only the latest in wireless barn camera technology making installation simple and convenient. Our 2.4 Ghz systems penetrate right through walls and floors. These systems can be placed up to 1 mile away from your TV with an extra high power transmitter. All models hook up to standard TVs or VCRs. We even offer systems for metal barns and trailers. Plus all of our Metal Barn systems have at least 900 lines of color resolution and include audio and infrared at no extra charge. Go to the live camera site!